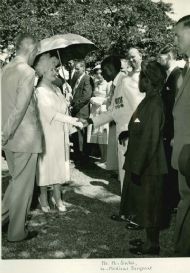 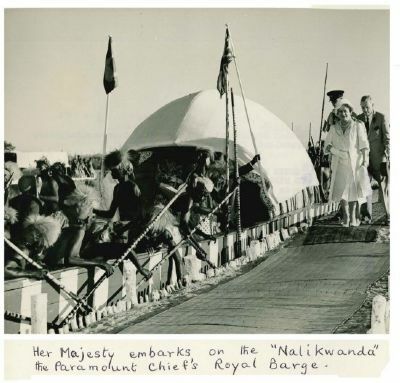 May 1960, Visit of the Queen Mother to Barotseland. 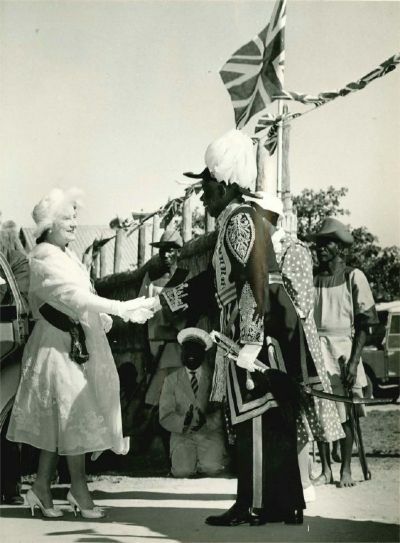 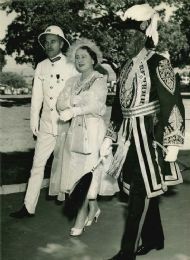 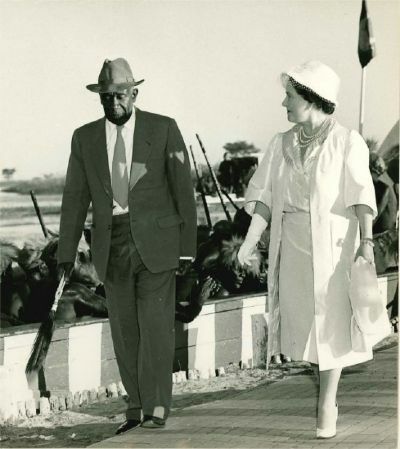 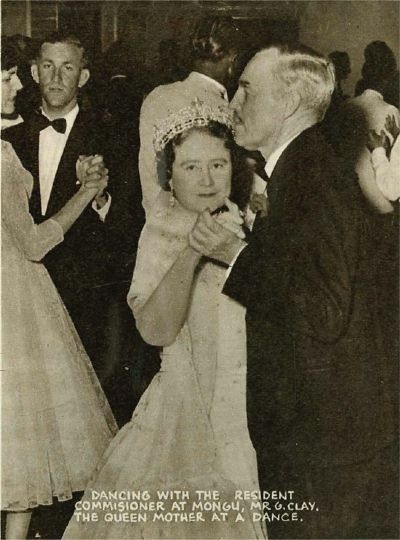 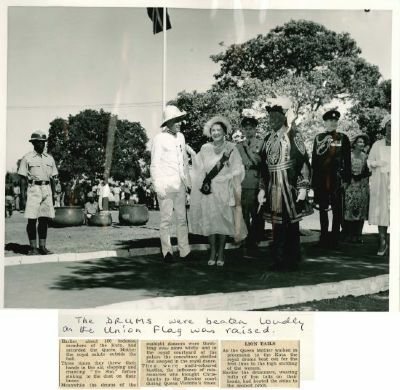 In May 1960, the Queen Mother toured Africa, and spent three days at The Residency, Mongu, Barotseland, as the guest of Her Majesty's Resident Commissioner, Gervas Clay, and his wife Betty. She was a delightful guest, and after she left, instead of a Bread & Butter letter from a lady-in-waiting, "Her Majesty commands me to write...", the Queen Mother wrote a four page thank you letter in her own hand-writing. 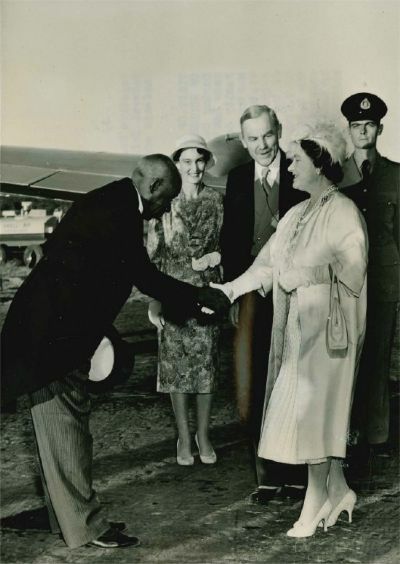 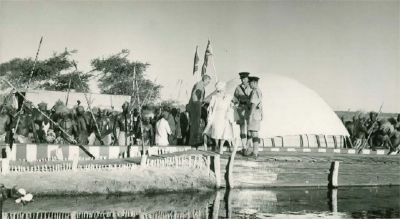 The Queen Mother being welcomed to his country by the Paramount Chief at the Mongu airfield. The Queen Mother being welcomed to his palace at Lealui by the Paramount Chief.